We both took a reusable water bottle filled with water to drink, and Hubby and I had tea while at work as well. Because it is spring break, the kids are at home, so this was only for Hubby and I. The kids are eating leftovers out of the fridge. 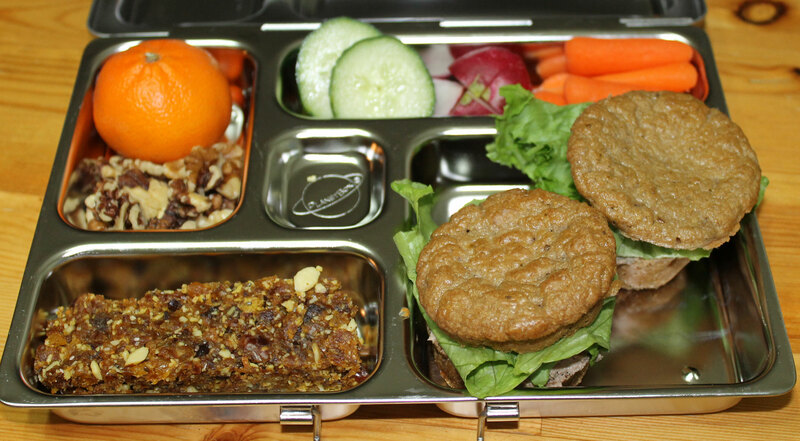 This entry was posted in School lunches and tagged dairy-free, gluten-free, grain-free, healthy, lunch box, packed lunch, paleo, planet box, primal. Bookmark the permalink. Shared so that people who wonder “What can I pack for our lunches?” have ideas. Love these posts! Thank you. Actually, all your posts.